WebRTC is pretty confusing as a technology. One that is really hard to learn on your own, since there is no single place where you can get it all in a "linear" way. This brings about two different software development disciplines with very different software developers. And it is there where the real challenge lies. Developers who take up WebRTC come from one of these routes – they either have a solid VoIP background, but know little about web development; or more often than not – they know how to create web apps but know very little about VoIP. Add to that the ever-changing nature of WebRTC, its standardization, implementations and ecosystem - and it is obvious why this technology is so hard to learn without professional guidance. This course comes to bridge these gaps, doing it from a very practical point of view. Get instant access to 8 modules featuring 40+ HD WebRTC training videos, each averaging 20 minutes in length (with additional reading materials and useful links). You'll also get worksheets and cheatsheets. Plus, leave no question unanswered about WebRTC with the chat widget AND the live Office Hours sessions. We'll review together what WebRTC exactly is, cover its history, current state. Review the various touch points of WebRTC and check out the APIs it offers to developers. You'll get an up to date bird's eye view of What WebRTC is and how it works. 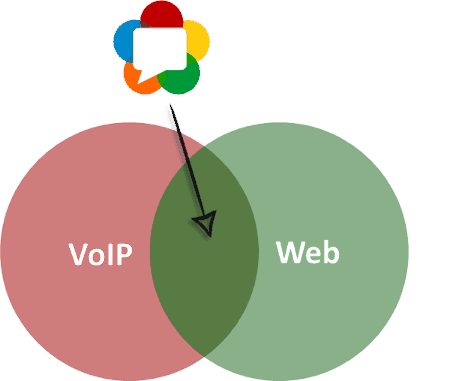 WebRTC relies on computer networking. This module explains the various transport protocols with a focus on browser networking and WebRTC related aspects of it, such as NAT traversal. You'll understand why and how ICE is used in WebRTC sessions. WebRTC has no signaling, but it is still needed for WebRTC to work. Here we will touch the various transport and signaling protocols available to you and discuss topics such as SDP and security in WebRTC. By the end of this module, you will be able to select the signaling module for your application. To send audio and video means dealing with Codecs. This module covers all you need to know (and more) about the codecs that WebRTC uses. You will be able to pick the codecs you'll want to use for your WebRTC service once we're done with this module. Group calling? Recording? These are tough nuggets in media processing. This is why we have this module, which goes through the various multiparty architectures, explains them in details along with the best approaches of using them. Here's a secret for you: No one develops using WebRTC from scratch these days. Everyone uses a framework of sorts, be it open source or commercial. After going through this module, you'll understand the ecosystem around WebRTC and be able to pick tools into your WebRTC technology stack. This module acts as a summary for this course. It holds a lot of common design patterns of applications, so you can go through them and see how all the lessons fit into a single architecture of an application. The "etc" module of this course. Here, lessons that just didn't fit elsewhere but are highly relevant and important found their place. They range from requirements, through standardization processes all the way to media algorithms and TURN configuration and deployment. Got an important question about WebRTC and your application? Need a fresh perspective to make better, more informed decisions? During office hours, Tsahi will offer additional lessons material and tackle your toughest questions. If you can't make it, just catch the video reply online. The end result? You'll understand the nuts & bolts of WebRTC and be able to use this technology effectively in your projects. Upon successful completion, you will receive a printable certificate.You can learn more about the course in this course syllabus (PDF). I’ve been working with WebRTC for a year before enrolling to this course. After going through the course, I can say that I finally now know exactly how the ICE process works and have a much better understanding of audio and video codecs, media processing and topics such as Simulcast and SVC. I will definitely be getting back to some of the course lessons whenever needed. The Advanced WebRTC Architecture course is a must-have for anyone interested in WebRTC. Tsahi takes you through everything you need to know about WebRTC at the business and technical architecture level. It’s required viewing for all new hires in our team! I was signed up to this course because I had almost no experience with WebRTC. Having working experience with Freeswitch/SIP, I hoped to establish associations with that background so I can do similar things on the WebRTC world. After taking the course, I now understand WebRTC a lot better. This helps me take the right technical decisions. Tsahi’s course is a great investment that every company building real-time solutions using WebRTC should take. Our entire team enjoyed the course and one on one time Tsahi provided. We’ve signed up our team to the course and the immediate feedback was very positive. The content and the flow make it easier to learn WebRTC, and there’s a good balance for beginners as well as intermediate level of engineers. This course is a real asset for anyone who wants to understand deeply what WebRTC is and how it works. Very well documented and explained. I really enjoyed the course, the material is a great learning and resource tool that I will be using time over time. Tsahi Levent-Levi is an Independent Analyst and Consultant for WebRTC. Tsahi acts as the W3C Evangelist for everything WebRTC. Tsahi Levent-Levi has over 20 years of experience in the telecommunications, VoIP and 3G industry as an engineer, manager, marketer and CTO. Tsahi is an entrepreneur, independent analyst and consultant, assisting companies to form a bridge between technologies and business strategy in the domain of telecommunications. Tsahi is the author and editor of BlogGeek.me, which focuses on the ecosystem and business opportunities around WebRTC. He is also a co-founder of Kranky Geek, a conference for WebRTC for developers, sponsored by industry leaders such as Google, Intel, TokBox, Twilio and IBM. Tsahi is also the co-founder and CEO of testRTC, a company providing self-service testing and monitoring solutions for WebRTC applications. Oh – and you can learn more on my about page. December 2018. I try to keep it fresh and up to date. How long is the Advanced WebRTC Architecture course? The course is about 20 hours long, and has been cut up into small, digestible and organized lessons, so you can refer back to it when questions about specific topics come up long after you’ve finished the course. This seems to be one of the features people like the most. What difficulty level are we talking about here? Advanced WebRTC Course is a course that’s been developed for people with little to no experience in WebRTC as well as those who have been working with WebRTC for some time already. This is why even even those well-versed in VoIP or WebRTC will find a significant amount of the information useful. The course and video tutorials are split up in a way so that the introductory content can be easily skipped if needed – you are not forced to watch specific lessons in order to move forward. I don’t know anything about WebRTC. Is the course for me? Definitely. The course is advanced in the sense that it brings to light a lot of areas that are never discussed or taken for granted. Oftentimes, these areas are quite basic in nature, but tend to be very important. I designed the course to fit audiences who are just beginning their journey with WebRTC, but know a thing or two about technology; as well as for people who already know WebRTC. The course and video tutorials are split up in a way so that the introductory content can be easily skipped if needed. Will you offer this course at a later date? The course runs with office hours twice a year. People can enroll to it at any point in time throughout the year. Past office hours are also archived and available, while during office hours you get to chat with me live. No. This isn’t the direct purpose of the course. More often than not, people end up using WebRTC indirectly – through a cloud communication API provider or an open source media framework. In such cases, there’s little value in such a course if it doesn’t cover the specific framework you will end up using. The practical parts of this course focus around what should be the correct architectures to develop when using WebRTC and what building blocks to employ. I won’t be going into the nuances of how to call the APIs and what they mean – it makes no sense. Yes. You can definitely join! The course itself is online and available at all times. I have created all the content in advance, pre-recorded, so everything is there whenever you need it - you just need to find the time to sit down for a lesson. The Office Hours are designed to allow for each student to join at least once a week to ask questions and listen in to the group discussion. For that reason, there are two hours every week, one covering Asia and Europe and the other covering Europe and the US. On top of that, office hours are recorded and available for playback. Office hours are simply online sessions that I conduct for the purpose of the course. They occur twice a week to accommodate as many time zones as possible: usually at 07:00 and 14:00 EST. Office hours are also recorded and available for playback as part of the course. During office hours I may raise issues I’ve seen throughout the week related to the course, but the main purpose of the office hours is for the students to ask questions about the content of the course. The office hours run for 3 months. No accountants were involved in the making of this advice, but a number of former students have given feedback saying their companies let them expense stuff like a WebRTC training course that’s helpful for work. The course runs throughout the year. You can join at any point in time if you wish. The course is self-paced and online, so you can start and finish when you want. Office hour sessions take place in 2 launches every year. If you aren’t part of that launch you still have access to the recorded office hours from the previous “course launch” as well as access to me via the course forum. What secret information am I going to learn that no one else knows? None. You can learn everything in this course through blog posts, forums, and trial-and-error. There is nothing secret here. That said, there is a lot of information (and misinformation) out there. Advanced WebRTC Architecture course is designed to make WebRTC tech as digestible as possible, but it won’t be teaching you anything you can’t learn on your own. There is a 30-day money back guarantee! No questions asked. Just fill out my contact form and I’ll get back to you with the answer to it.